If you live in the United Kingdom, the fifth issue of Comic Heroes hits the stands today. 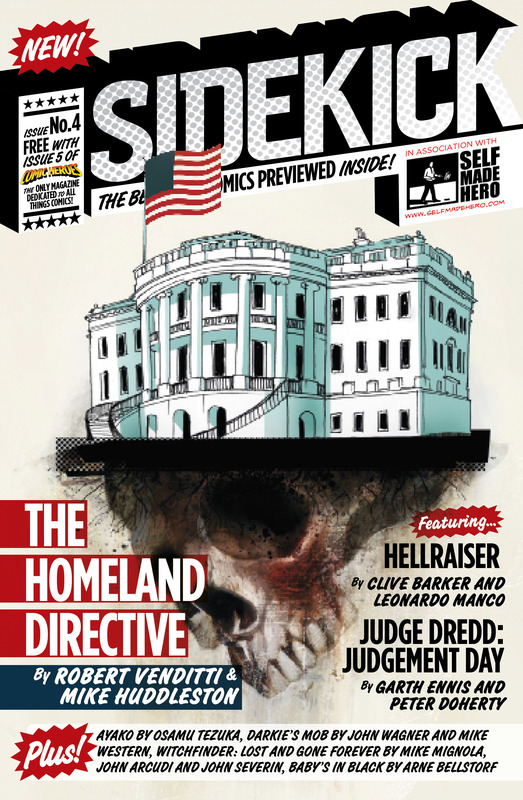 The Homeland Directive is the cover feature of the magazine’s “Sidekick” insert, and inside is a 6-page preview of the book. The insert also contains comics from Clive Barker, Mike Mignola, and Garth Ennis, leaving me to wonder how I ended up in such good company. If you don’t live in the UK, you can order a copy of the magazine here. Wow. You really couldn’t be in better company! Can’t wait to check out the book. The art looks great. Oh, The new site is super slick BTW. Andy did a bang up job!